January 29, 2016 — Angola’s first major steel mill aims to transform the quaint fishing and agriculture village of Barra do Dande into a bustling community. 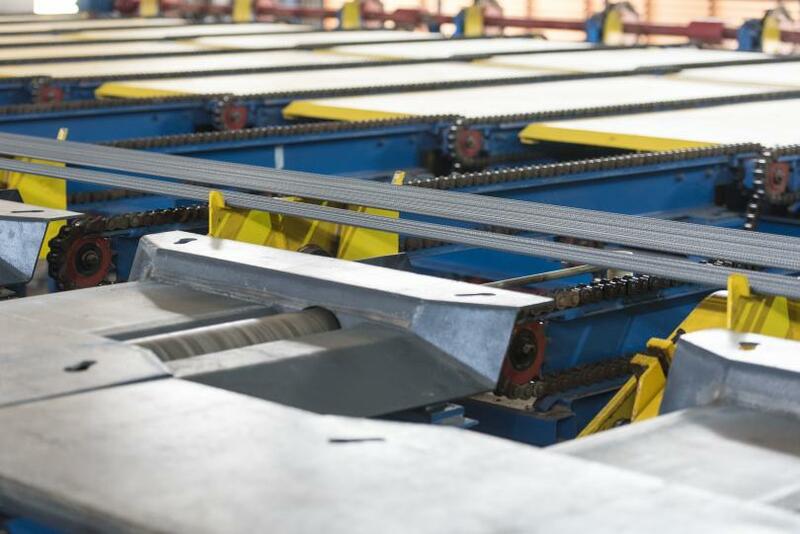 Since its official opening last month, the sprawling, privately owned factory is melting scrap metal into steel billets and rolling out rebar and wire rods, with the capacity to one day produce enough steel to meet Angola’s domestic demand. The 266.17€ million investment just north of the nation’s capital in Bengo province comes at a time when Angolans desperately needed it. Angola, Africa’s second-largest oil producer, is facing a financial crisis amid record low oil prices and China’s economic slowdown. While the new plant marks a turning point toward diversifying the country’s oil-dependent economy, analysts said the Angolan government still has far to go to grow the economy beyond oil in multiple sectors by driving financial reform and spurring private investment. Since the end of a brutal 27-year civil war in 2002, billions of dollars in oil revenues and associated Chinese loans have bankrolled infrastructure and housing projects in Angola. In 2012, Angola’s flourishing economy grew by up to 12 percent and the former Portuguese colony secured contracts worth 6.74€ billion with China, the world’s second-largest oil consumer and Angola’s top trading partner. But Angola’s oil-dependent economy hit the brakes when China’s benchmark Shanghai Composite Index recorded its steepest single-day slump in eight years last summer. At the same time, oil prices have plummeted by roughly 20 percent this year due to a surplus of crude on world markets, slashing Angola’s main source of government revenue and export earnings. Angola’s kwanza currency has tumbled 50 percent against the dollar in the past 12 months, sending the price of imports — which the country depends on for food — soaring. GDP growth has fallen from its cloud nine double figures to just 3.5 percent and economic analysts forecast it to be the same this year. 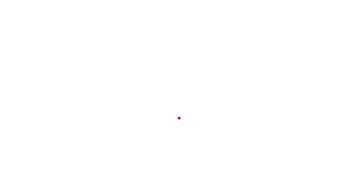 The Ivory Coast-based African Development Bank Group estimates the current unemployment rate in Angola sits at 26 percent, with youth worst affected. 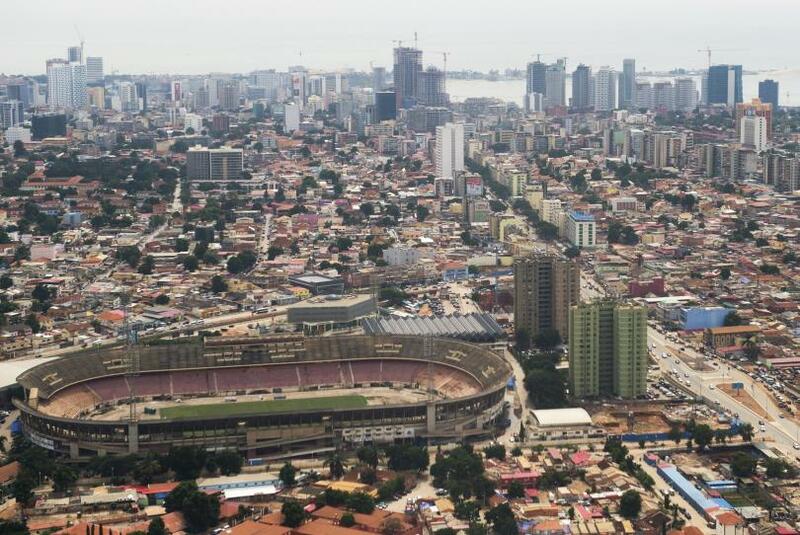 The days of oil wealth are still vivid in the vibrant capital Luanda in the form of shiny skyscrapers, government buildings, restaurants and nightclubs. The modern city, which was named last year as the world’s most expensive for expats, stands in stark contrast to the bleak skylines of the nearby shantytowns and urban slums, which house millions of people living on less than 1.77€ a day. There, roads are in poor condition, electricity is unreliable and water and sanitation services are lacking. 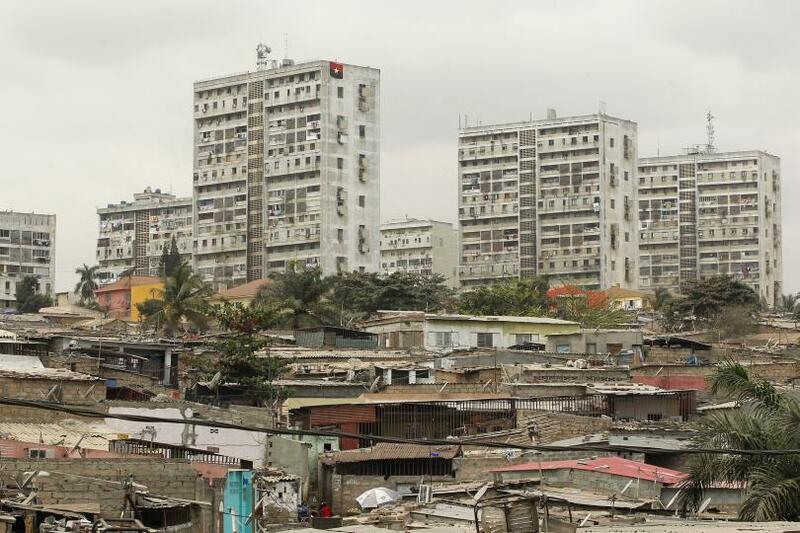 The Angolan government denies any corruption, but activists say the oil riches line the pockets of Luanda’s few elite and bypass Angola’s poor masses. An estimated 68 percent of the 22 million people in Angola live below the poverty line. To many, Angola is now considered an unappetizing landscape for investment. But Frenchman Georges Choucair, the chairman and CEO of K2L Capital, has not been deterred. The Luanda-based holding company funded the newly built Aceria de Angola (ADA) steel mill in Barra do Dande, near where the mouth of the Dande River empties into the scenic Atlantic. Choucair said the investment has been a successful one so far. The privately owned factory is already groundbreaking in many ways. Not only is it Angola’s first mass-producing steel mill, it’s also the largest in West and Central Africa, with mass volume that could position Angola as a regional player in Africa’s steel market. The remnants of military machinery that fought the country’s protracted civil war are providing the steel plant with abundant reserves of raw material. In the first phase, it will produce 300,000 tons of steel per year. When it reaches its capacity of 500,000 tons per year, the ADA steel mill will, in theory, make Angola self-sufficient in the metal. It also has created 600 direct and 2,000 indirect jobs and is supplying electricity to the local community. The Angolan government has warmly welcomed the industrial project and several officials attended the steel mill inauguration on Dec. 15. The Multilateral Investment Guarantee Agency, the political risk insurance and credit enhancement arm of the World Bank Group, supported its construction and operation with an investment guarantee of 62.11€ million. “For me, what makes this project stand out is the client’s vision for a smart and sound project for the country, our hands-on cooperation, and the overall context of helping Angola diversify its economy at this difficult moment,” said Noureddin Ennaboulssi, the agency’s senior underwriter who led the team on this project. 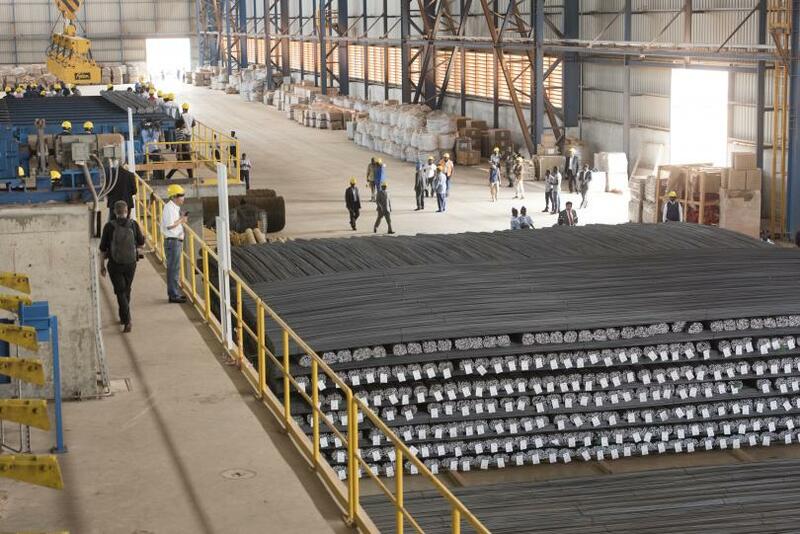 Increasing Angola’s steel production capacity could support the country’s postwar construction projects and reduce the need for imports, which will in turn ease pressure on government finances and the kwanza exchange rate. But steel alone cannot breathe life back into the country’s ailing economy. The industry accounts for only about 6 percent of total GDP, while oil production still occupies the lion’s share at almost half, according to Anne Pitcher, an African studies and political science professor at the University of Michigan whose research focuses on Angola. The process of diversifying Angola’s oil-dependent economy will require structural changes as well as the growth of several other sectors over a period of time, such as agriculture, fisheries and manufacturing.Angola will need to gain more experience in the steel industry before expanding outside the domestic market to compete with regional players, like Egypt and South Africa, analysts said. The country’s success in steel will also depend on the volatility and saturation of the global market, as prices of scrap metal have plunged in the last year. “This is something that cannot happen overnight. It will have to be something that comes from consistent implementation of policy over a number of years,” said Ayalenesh Tafesse, country risk analyst at Rand Merchant Bank in Johannesburg. Swift financial reform is also key to diversifying the economy. Angolan President José Eduardo dos Santos has taken steps in recent years to relax rigid regulations and ease investment code. Most recently, his administration ditched the National Private Agency, which was deemed a hindrance rather than an agent for investment, and replaced it with the new Agency for Investment Promotion and Exports of Angola in October. “We have seen some improvement in recent years, but this process has been quite slow. I think the current difficult economic climate has emphasized the need to see more improvements at a faster rate,” Tafesse said. Sanga de Almeida, group CMO of K2L Capital and ADA, said the Angolan government needs to better communicate the advantages of investing in the country. Officials should also promote any progress made in financial reform that facilitates private investment. “It makes it difficult for private investors to come and have faith in this country when all they hear is negative things,” de Almeida, whose parents are Angolan, said in a recent interview in New York City. For the recently hired Manuel, the ADA steel mill is life-changing. Since graduating high school in the outskirts of Luanda 10 years ago, he had been unable to find a stable job because employers refused to hire him. After a bout with polio at a young age, he has permanent paralysis in his legs and cannot walk without crutches. Manuel, now 28, secured a full-time job at the factory in May, helping to empty shipment containers and assisting the food and beverage department by giving tickets to workers coming in and out of the cafeteria. He doesn’t make enough yet to get married and support a family of his own, but it’s steady income that he has never had.